Since we got back from Greece earlier this month, Serbia has had very hot weather. Everyday it has been in the high 80’s and 90’s (F) topping 100 F on several occasions. There also has been a lack of rain and lawns not watered are yellow and the clay soils of Serbia are cracking. 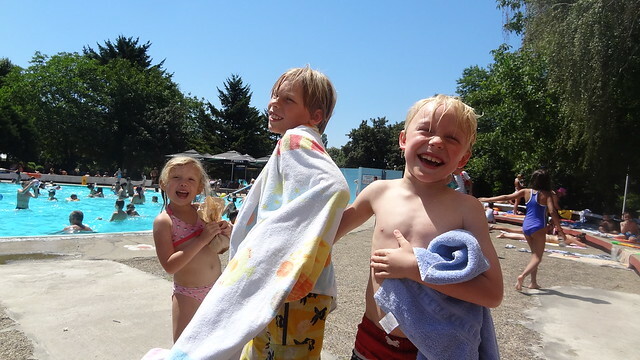 We’ve been finding ways to cool off each day and these include swimming at Ada (above) or going to pools and eating plenty of ice cream. We are trying to do all of the traditional summer activities like swimming, eating watermelon, playing baseball, etc. The family is enjoying time together and we are all looking forward to our next adventure of a couple of weeks in Mallorca, Spain.